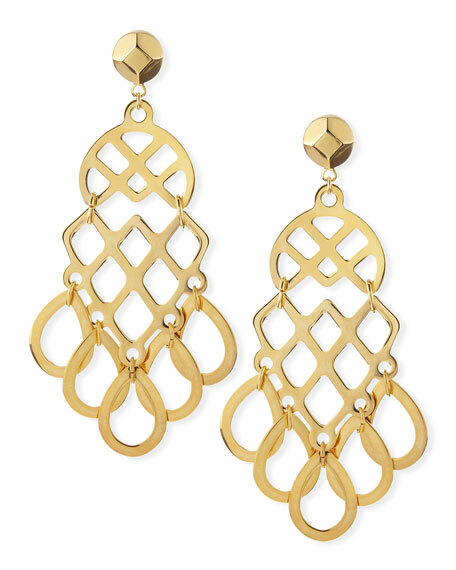 Lacy segmented Tory Burch chandelier earrings. 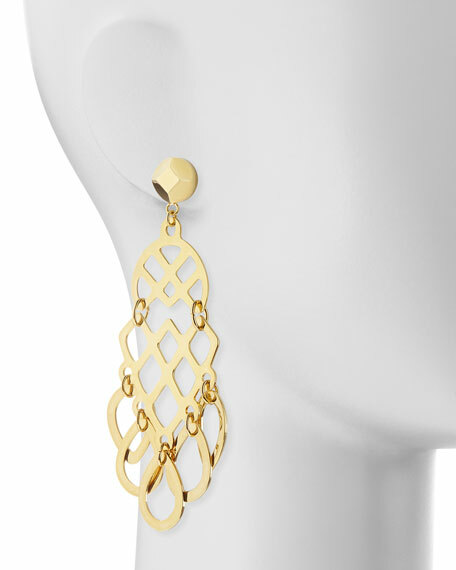 16-karat yellow gold plated brass. For in-store inquiries, use sku #233148.